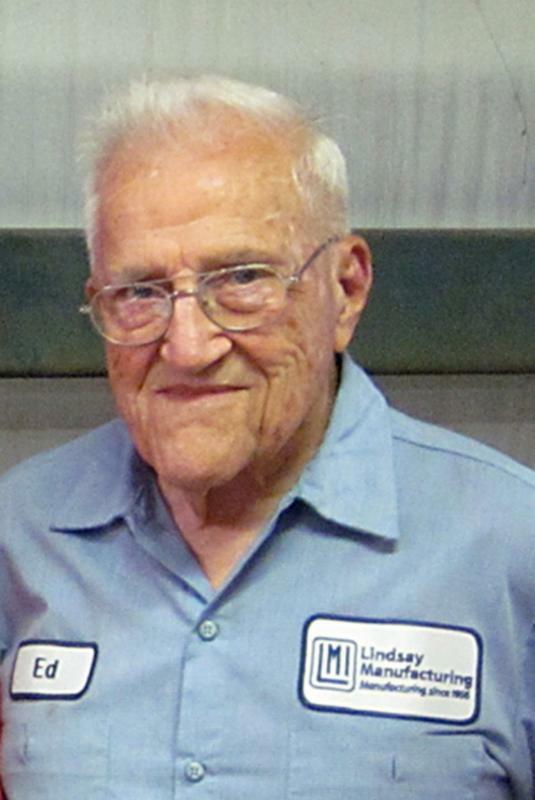 Our VacuMaid family is mourning the loss of Ed Lindsay, who played a preeminent role in our company and the vacuum industry. For more than 50 years, Edward Lindsay was an innovator and leader in the growth of the central vacuum industry. In the days when central vacuums were rarely heard of, he recognized their importance and began to engineer and develop quality equipment. Early on, Lindsay recognized the importance of not only a clean home, but he foresaw the greater importance of a clean home environment. Edward began his career as a research engineer for Westinghouse and distributor for Vacu-Maid in 1957. In 1963 he moved his family to Ponca City, Oklahoma, to become the general manager. Under Edward’s guidance and leadership, the company expanded rapidly through the late 60s and early 70s. In 1985, he shared the leadership of the company with his two sons, Edward Jr. and Winston III. By the early 1990s, Vacu-Maid had expanded to include a tremendous international market. Edward’s had a vision and commitment to constantly refine and perfect central vacuum systems for a wide variety of markets. Edward Lindsay was one of the last of his breed, a true pioneer. The family would love to hear any old stories that you have to share. Please email to lindsay@fullnet.net. On Aug. 24, 1921, Edward Williams Lindsay Sr., was born at the Lindsay horse farm on the Shenandoah River near Boyce, Va. His parents were Winston S. Lindsay Sr. and Marjorie Lee Harris. He lived 93 years and passed away at Ponca City Medical Center on Thursday, Dec. 18, 2014. As he was growing up, his family moved several times, first during the oil boom they moved to Tonkawa and then to Wichita, Kan. and finally to Jackson, Miss., where he graduated from Central High School. Each summer, he would return with his three brothers to Virginia to help his grandfather with the farm and annual horse show. For college, Ed was first enrolled at VMI (Virginia Military Institute) until he was diagnosed with a heart problem. He then attended the University of Texas and API (Auburn University) where he earned a degree in electrical engineering and an army commission. While in graduate school at Auburn, he met Margaret Ruth Upton, whom he married on June 24, 1948, in Christ Church, Pensacola, Fla. They moved to Pittsburgh, Pa., where he worked as a research engineer for Westinghouse. There they had three children, Edward, Winston, and Margaret “Peggy,” now of Destin, Fla., Ponca City, and Fort Worth, Texas. During the war, Ed worked on the Manhattan Project (atomic bomb) and during the cold war, he received a Navy commendation for work on the Polaris missile. Also, he authored several papers and patents on insulators, power-line traps, and magnetic arc circuit breakers. In 1963, Ed moved to Ponca City to become General Manager of Vacu-Maid, a manufacturer of central vacuum systems. Vacu-Maid was formed by his father and uncle in 1956. During the next 20 years, Ed engineered and patented new products and he established distributors throughout the U.S. and overseas. He became president of Vacu-Maid, greatly expanded the manufacturing plant and then bought controlling interest in the company as it became a world-leading manufacturer in its industry. He was a professional engineer, a member of ASTM (product standards) and a member of the VDTA (Vacuum Dealers) Hall of Fame. In later years, Ed cared for his wife for 27 years after she needed brain surgery. At Vacu-Maid, he worked in the plant until he was 91. He particularly enjoyed working with the good folks of the Opportunity Center enclave inside the plant. He was preceded in death by his parents, his wife and two brothers, Winston and James. He is survived by his brother, John Tucker Lindsay and wife Virginia, of Fort Walton Beach, Fla., and three children, Edward, of Destin, Fla.; Winston and wife Betty, of Ponca City; and Peggy and husband Tom Davis, of Fort Worth, Texas. He is also survived by six grandchildren, Winston Lindsay and wife Brooke, of Ponca City; Natalie and husband Marshall Fraser, of Ponca City; Marjorie and husband Tyler Barnes, of Dallas, Texas; Tommy Davis, of Dallas; Emily and husband Tyler Reynolds, living in Norway; and Katie Davis, of Houston, Texas; and by five great-grandchildren, Winston, Harper, and Lorelei, all of Ponca City, and Olivia and Madeline, of Dallas. A memorial service for Ed is scheduled for 10:30 a.m. on Saturday, Jan. 3, 2015, at Grace Episcopal Church in Ponca City. In lieu of flowers, a memorial has been established in his name at the Opportunity Center Inc., 2225 North Union, Ponca City, OK, 74601.